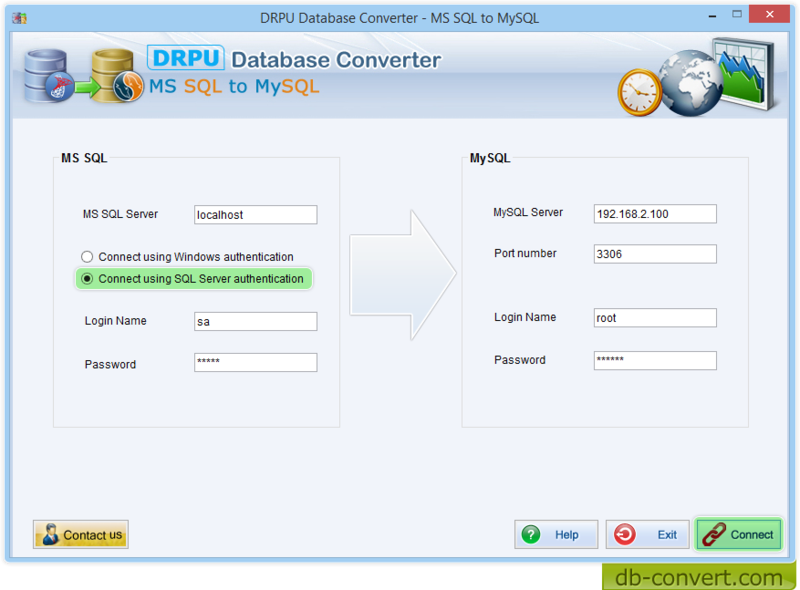 MS SQL to MySQL Database Converter is a program to convert database records created in MS SQL into MySQL database by maintaining the database functionality. Software converts Primary and foreign key constraints, indexes with necessary attributes, views and stored procedures. Software also provide option to convert database by selecting schemas items manually. Enter all the required fields to establish connection between MSSQL and MySQL server. Database Migration Tool provides support to all null value constraints, key constraints, data types, schemas, attributes, tables (including rows and columns) etc. even after database conversion. All the records can be maintained in their original structure resulting into the lossless database records conversion. Database conversion utility allows its users to overwrite the records of existing database records with the converted database records or save the converted database records on the disk at user specified location for future usage. Database Conversion tool converts the database records created in MS SQL to MySQL database format. Support full functionality and structure of the existing database while performing database conversion. Provide advance feature of overwriting the existing MSSQL database records or saves the converted database at user specified location. Saves time by automatically converting the single or multiple database records from MSSQL database format to MySQL database format within seconds. 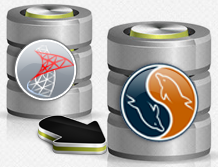 Support all major versions of both MSSQL and MySQL.